Then you are ready to join Tenley & Emily for a 6 week small group program designed with YOU in mind. Your 6 week small group program begins in 2020. Stay tuned for details. feel motivated and Take your knowledge of nutrition to the next level? Get off the yo-yo diet roller coaster and quit counting calories and macro nutrients? Lose weight, KEEP it off and feel amazing? Finally have a self-care, morning and evening routine that makes you happy? 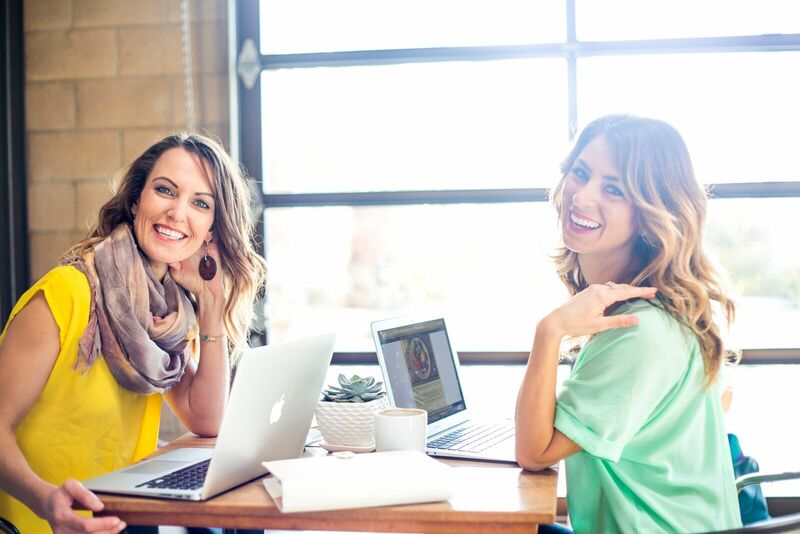 Work with a small group of women to accomplish your goals? 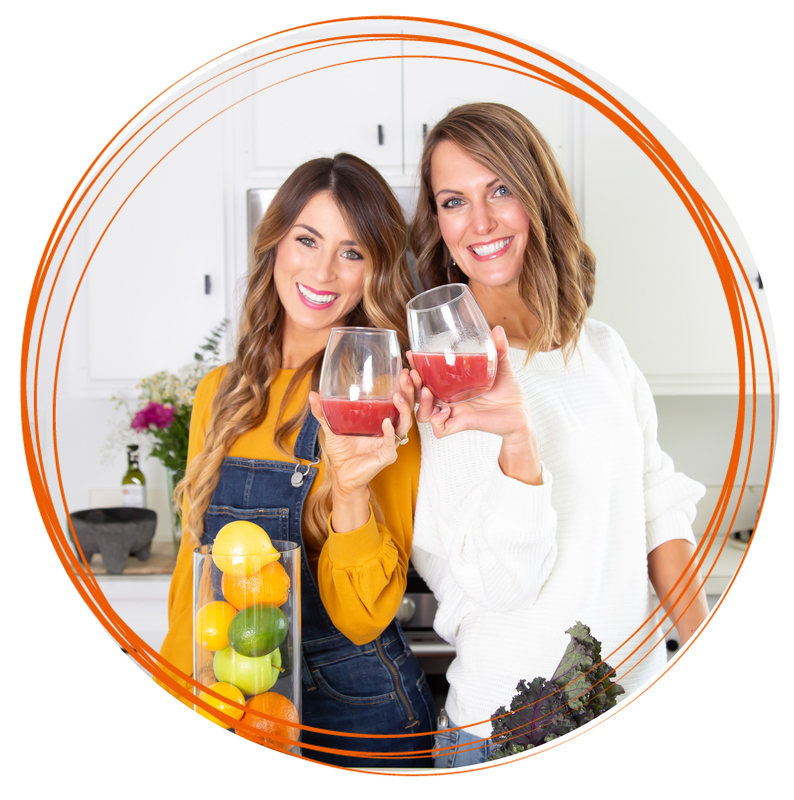 Ultimately this Online program is about discovering your Food Freedom so you can bring your body back into balance and live an energetic, fun and healthy life. Connecting with BOTH Emily and Tenley for a 30 minute wellness consult to help customize your program. Imagine sitting down with a cup of tea for 90 minutes every week alongside like-minded women who are in exactly the same place you are. YOU ARE READY. Ready to transform your relationship with food, improve your wellness and create true balance in your life. Learn how to incorporate highly nutrient food into your daily meals, explore food sensitivities and experience meal mindfulness. Without a proper self-care routine you will never be able to break the cycle of GO GO GO. You not only deserve it but you NEED it so you can be the best you for you and your family. Couldn’t we all benefit from a little more grace in our lives? This little nugget is the single most important pillar of the Food Freedom Group Program. 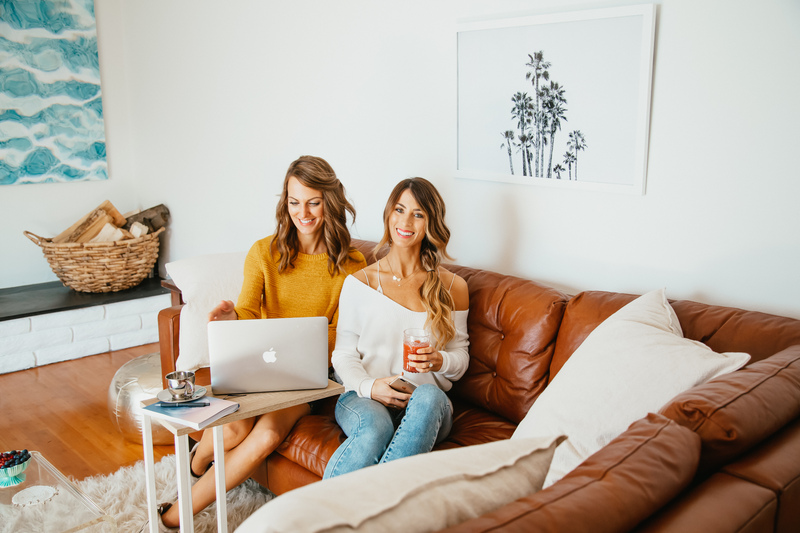 Tenley and Emily have both worked one on one with private clients for over 8 years and while they both LOVE working one on one they really wanted to bring change to a larger audience but still keep it intimate enough for you to connect with them, other women and really dig deep into your health and wellness goals. 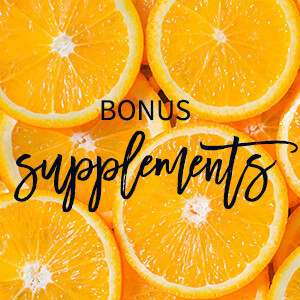 This program includes a 30 minute wellness consult with BOTH Emily and Tenley as well as a facebook group with women who have been through the program, or currently walking through it along side you. It has been proven time and time again that when women work in small groups that support change, accountability, and a deep respect for one another, long-lasting change is more attainable. SO What does the Food Freedom 6-Week Group Program look like? 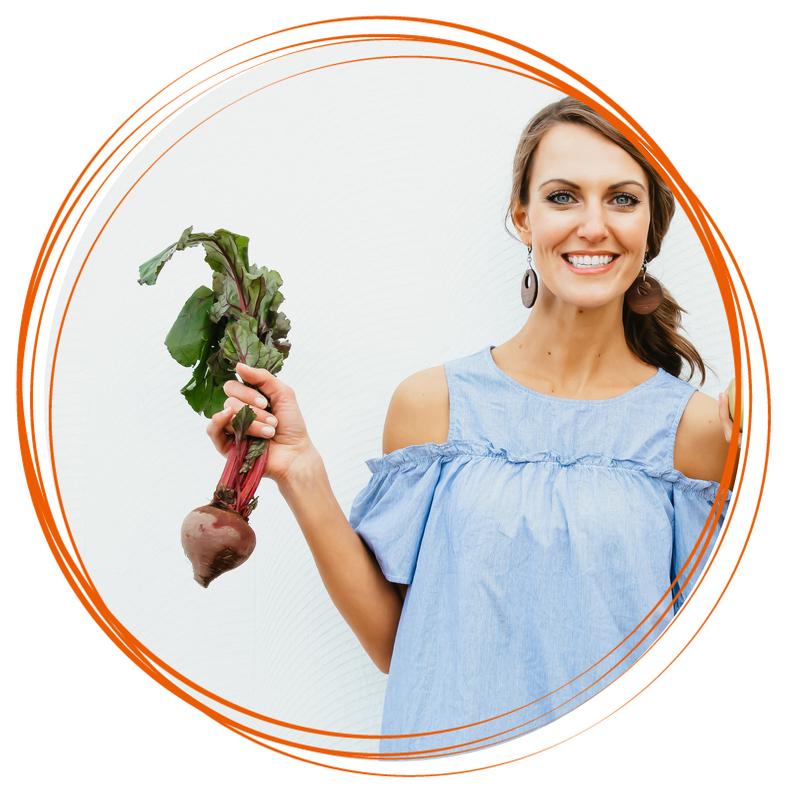 Learn the foundations of food freedom, connect with your new community and learn how to live your life according to your internal vibrancy odometer. We discuss hydration, the coffee addiction, and start the gentle upgrades into your new lifestyle. Education is empowerment. Get curious about a variety of veggies, protein and carbs (the good and the bad!). Learn the benefits of and finally understand the increasingly popular fat craze. We also discuss the importance of supplementing, when it’s necessary and when it is not. Learn about food sensitivities, what foods are fuel and what foods are poison in YOUR body. Hear Tenley’s story about going gluten-free and experience an at home food sensitivity test. Plus, get our guides to eating healthy while dining out and traveling! Master mindfulness and learn how it can dramatically shift your experience with eating, digestion and more. Plus, we’ll go deep into the delicate blood sugar balance, how we are all fighting a sugar addiction, and how to gently upgrade and eliminate sugar from your (and your families) diet. Learn how to stock a beautiful kitchen filled of nutrient-dense foods, super foods, and simple meal prep ideas. Tap into the joy your kitchen can bring you and feel excitement every time you open the pantry and fridge. Learn the art of meal planning, food prep and knowing when to treat yourself to a meal out. Grace – this week is our favorite. Stress, sleep, self-care, gratitude, manifestation and how to design a life that works for you, not the other way around. This session tends to leave the biggest impact and support you in these 6 weeks of lifestyle upgrades. 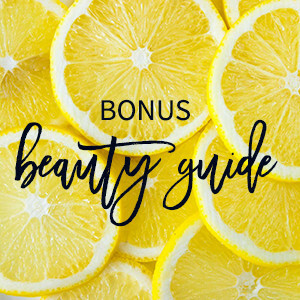 We have extra JUICY Gifts for every single woman who chooses to invest in herself. You also get a 30 minute wellness chat with us! 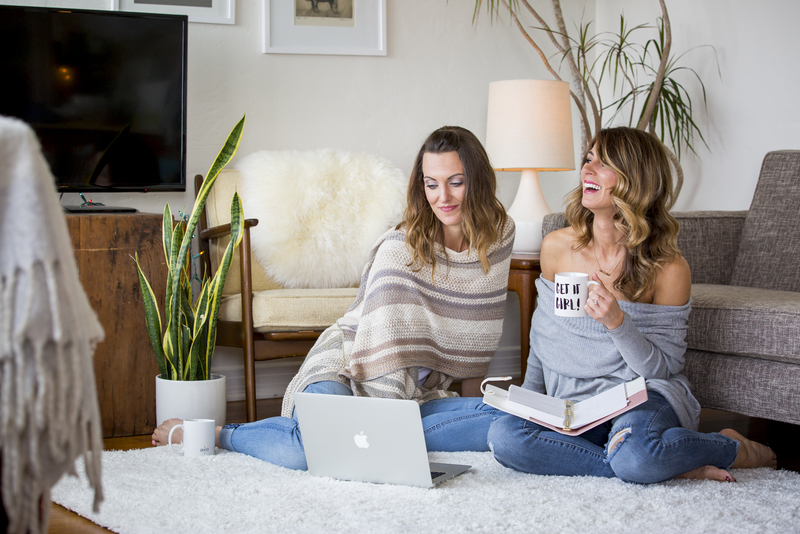 The first 10 people to enroll get a private 30-minute coffee date with Emily and Tenley. 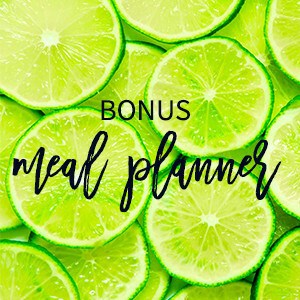 You can use this time to talk about your health goals for the program, get answers to your nagging food questions or just get to know each other! This time is ALL about YOU. Take your health into your hands TODAY and get ready to reset your body and optimize your health join us now. You wish you knew more about nutrition and how food impacts YOUR body. You are tired of feeling deprived, counting calories and struggling with dieting. You are tired of living off smoothies and power bars. You aren’t sure if you should be paleo, vegan, gluten-free, or just hit the drive-thru. You want to spend more time with your kids and less time stressed about your to-do list. You have zero health concerns. You don’t mind living off caffeine and 5 hours of sleep a day. You have a personal chef, a nanny and massages 3x a week. 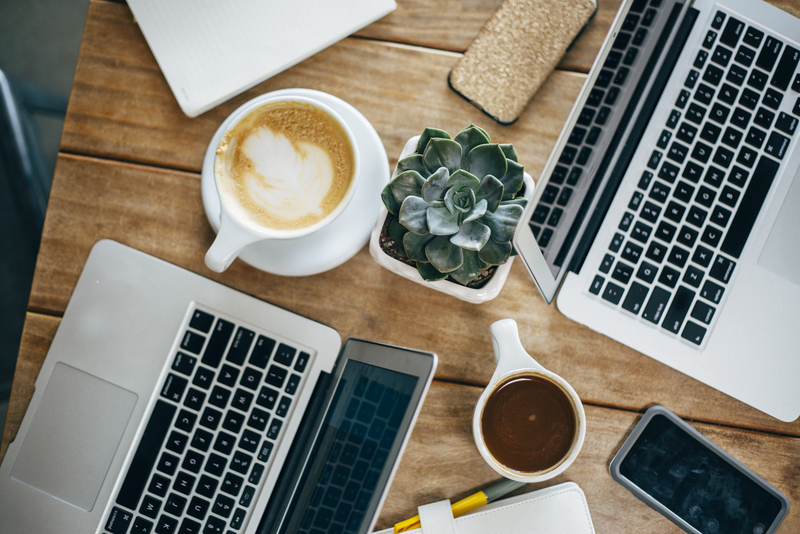 Ok – let’s face it…we all could use a little TLC, time to connect with like minded women and freedom to make empowered decisions about your health. My tummy was a mess from the day I entered this world. It was never anything the doctors could figure out and being “sick” was something that was normal to me growing up. I would spend days bent over in crazy pain and I would be running to the restroom in the most awkward moments. This tummy sickness of mine became especially awkward and painful in my adolescent and college years, causing me to miss a lot of fun experiences, or creating incredibly embarrassing moments. There would be days that my stomach would feel like a “spastic colon” and days where I was in such incredible pain with constipation. I had every kind of test done and there were still no answers. Around my 25th birthday I was going through some big life transitions and my stomach was even worse at this point with all the stress I was facing. My mom had found a book about going gluten free and I thought maybe it was time to explore things on my own without the doctors. So that is exactly what I did. I read the book, and never in my life had I ever heard someone explain my “normal” as their normal. I related to every symptom. I decided to try going gluten free, and I took this challenge on willingly! In about two weeks my stomach was already different. This lead me to changing my lifestyle forever. As I started to teach myself about my new gluten free lifestyle, my interest in healthy foods and even cooking came into place. 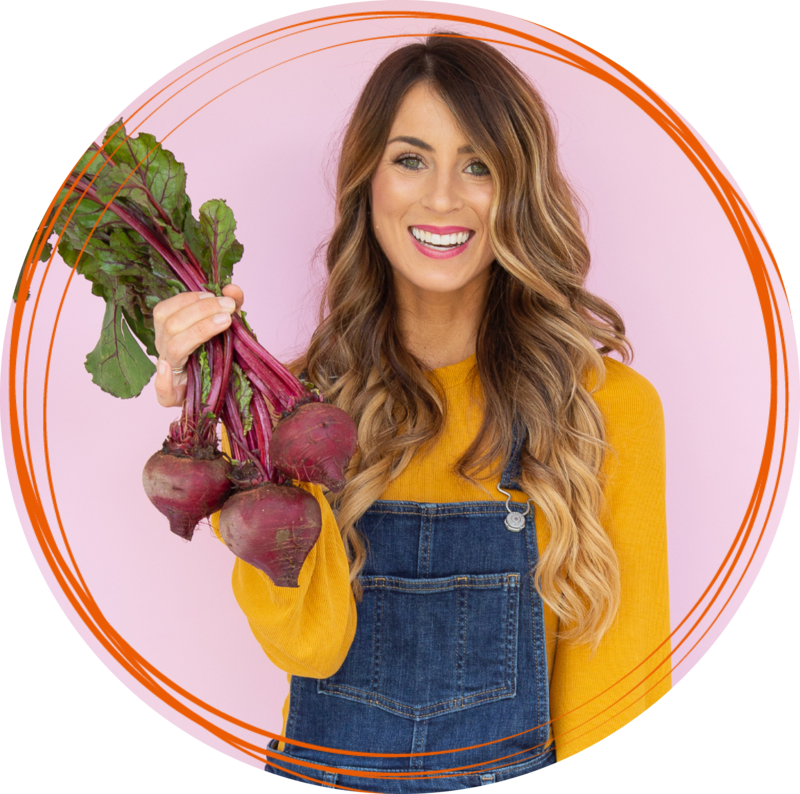 I began to discover an extreme interest in holistic nutrition and as my new normal became something I never thought I would know, it opened the doors to a whole new career and way of living. Knowing that I could heal myself I decided I wanted to help as many of those that I could find a way to live a happy and healthy lifestyle free of pain in sickness. This lifestyle change went beyond just going gluten free, and it repaired more than just my stomach. My immune system is strong and healthy now, and I have energy instead of the fatigue I used to experience daily. I live a life in freedom from the physical exhaustion and pain I once knew. I find it challenging to open up and share my ‘real’ story of how I landed in the field of nutrition and wellness. It’s taken me years to publicly articulate exactly what happened, and how it profoundly changed me and the course of my life. I went through a pain and a tragedy that I thought I never could heal from, and 10 years later I share this story in hopes of connecting with someone else who has felt pain unimaginable. It was the summer after graduating college with a B.S in psychology. I had so much joy and adventure ahead of me and was ecstatic to finally chase my dream of going to New York City to dance professionally. I was in NYC for only two months. I will never forget the worst day of my life… the same day of my first professional audition was the same day I received a tragic phone call from my mom. My father and two brothers who were flying a private airplane to a family reunion in Idaho had crashed. No survivors. That afternoon I had to get on a plane myself, and fly home to Idaho to be by my mothers side and grieve the most horrific grief I could have ever imagined. My mom and I would look at each other in the morning and if we had the courage to get up and put our mascara on, we knew we could get through that day together. I lived one day at a time. Day by day. Week by week. In my confusion, devastation, and horror I was looking for a distraction. That was when I stumbled into my first yoga class. For the first time in months, I felt what it felt like to breathe. I could feel my body again and with this awareness I was able to soften and relax and tap into a tiny sliver of comfort. It was this yoga class that dramatically changed the direction of my life. I immersed myself in yoga. I took all of the trainings I could take in the local area, and soon became a teacher. I knew if yoga could bring relief to my trauma, I could help others by leading them down this same path. While I was studying yoga and surrounded by people who were living a very healthy lifestyle I realized there was a huge disconnect with me. My ‘normal’ college eating habits included a pepsi almost every day, the Wendy’s drive through on occasion, and zero mindfulness about what I was eating, and how it was effecting my body. For the first time I started to question why I had been on antibiotics for 2 years for my skin, and still suffered from terrible acne. I slowly put the pieces together that what I ate was directly effecting my energy, my complexion, and my digestion. As I made some very slow changes in my diet, I became fascinated with nutrition. I knew this would compliment my yoga training so I enrolled in school to become a Clinical Nutritionist. In a few short months of applying what I was learning to my own health, I turned a huge corner. My energy sky rocketed, my skin was vibrant and clear again, and I was actually feeling energy and confidence. It was an incredible transformation, and one that I was very inspired and passionate to help others make. After a few years of studying and working with clients, I opened my private practice NourishMint Wellness. I now see clients daily, and have the incredible chance to make a difference in their lives. I live for the days when a client walks through my door to tell me that a suggestion I had made created a positive and sometimes drastic change in their lives. I love being able to help others- and I am living my dream job. Grief is a lonely place to be, and it took me years to see a blue sky instead of a gray sky. I like to think that though it was a horrific experience that changed me profoundly, it has given me the gift of a new and unique perspective. I believe when life gets hard, it can be very revealing, and I think it dramatically changed how I show up in the world. My life experiences has brought me to this place where I can connect with others. Pain is pain, no matter how severe. I use this unique tool to help women feel supported, and to create balance and peace in their lives through a new perspective, holistic nutrition, yoga and mindfulness. Creating the DIY cleanse with Tenley has been a such a fun experience. Our shared vision of supporting and helping others feel well and feel balanced is what sparked the idea for this program. It’s all about baby steps whether it’s grieving and getting out of bed, or whether it’s changing a few things in your diet to create more health and balance. The best thing you can do for your family and children is to be your healthiest and happiest self. Invest in yourself. Take your health into your hands – this is the PRIME TIME in our lives to do so! If you are ready to reset your body and optimize your health, join us now! 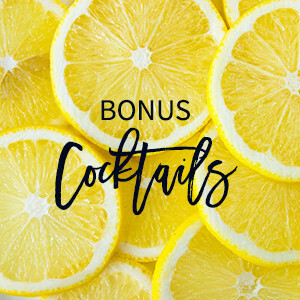 GET THESE FAB EXTRAS TOO! Have the energy to DO IT ALL and the power to say no when being super woman just isn’t in the cards. We believe that each body is different, and we want to show you how much of a difference it really makes when you love yourself in a way that works for YOU! Get to know your body, trust, listen, and love it! Love yourself and your health, and the weight loss will follow! When can I start the program program? The program is available anytime to start! We recently recorded each session and they are available for you to watch on your own time. How many people are in the Food Freedom Program? We are limiting the program to only 50 women so don’t wait. This is sure to fill up. You will have access to a facebook page with several other women who have been through the program or who are currently in the program walking along side of you! I’m pregnant or nursing. Can I still be a part of this program. YES! We actually think now is an ideal time for you to give yourself a break to focus on yourself, and nurture yourself through this supportive program. Everything we discuss will be safe for you, and if there are exceptions, we will be sure to point those out. No. Once you sign up, you will have everything you need for the Food Freedom Program. Some of our participants will request and require specific supplements which will be up to you to purchase. What if I need additional support through the Food Freedom Program? 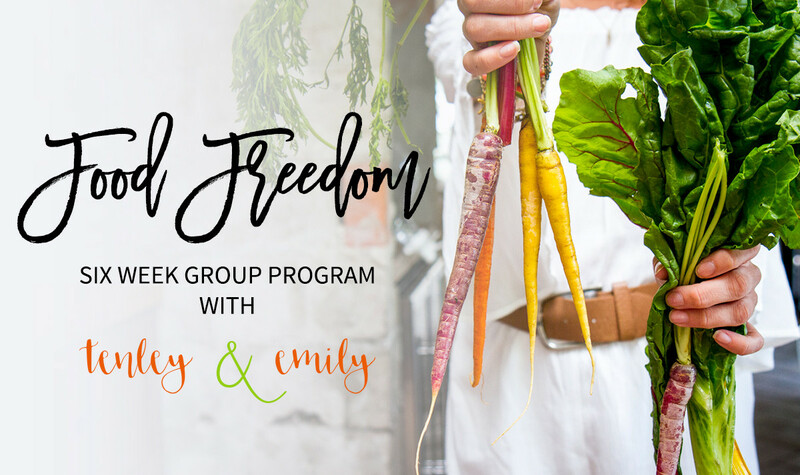 Tenley and Emily will be offering private one on one consultations as well as individualized wellness programs throughout the food freedom program, and after the program is concluded. Many participants will want to take their program deeper with running lab work, or getting a customized supplement protocol. All of these things are offered as additional programs and add-on’s outside of the Food Freedom Program. You will need to dedicate 60 – 90 minutes each week to live call or recording and we suggest an extra 2-3 hours a week to implement everything you are learning and changing. We like to remind our participants that what you put into the program is what you will get out of the program! Refunds will be considered on a case-by-case basis within 30 days of purchase. Refunds will be considered for Action Takers only, meaning that you watched the videos, participated in the Facebook group and attended the live calls and still did not feel that the program was a good fit.